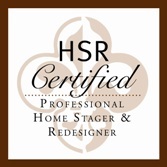 Ask the Home Stager: Why Does Furniture Help Sell Homes? What is it about a vacant home that makes buyers struggle to connect with it? You’d think that with a clean slate, potential buyers would be able to see it’s true potential. Interestingly enough though, the opposite is actually true. A house void of furniture and accessories can feel empty and cold, and today’s buyer struggles to envision how to make it a home. Smartly placed furniture and accessories can be a seller’s best friend in today’s competitive Real Estate market. While we like to think we buy houses with our head, in reality we buy them with our heart. We connect with a home based on how it makes us feel, and that emotional connection can be very strong. Clutter-free, bright rooms are very appealing, and furniture can show us how to use a space to it’s best advantage. When a room is empty, there is no point of reference to connect with. People tend to be very visual, and we do best when we can see a possibility. Consider furniture stores: they have “rooms” set up to show customers how to use their products. Imagine how strange it would be to walk into a store that was completely empty, with perhaps only a catalog to see what they sold. How would you know if the furniture worked for you? With no point of reference, you’d be left to imagine how it might look if you purchased it. And good luck with that……only 10% of the population has the ability to “see” potential without a tangible example! So if you’re thinking of selling your home, don’t make the mistake of leaving rooms vacant. Call the Home Stagers at Design Rewind, Austin TX today at 512-417-2876, for help in arranging your space to best appeal to today’s buyers. Don’t let your empty home help sell the competition!